TOWN OF HAYDEN ALABAMA Water Department customers may now pay bills online using your debit/credit card. You MUST have your account number (provided on your water bill) to pay online. If you need your account number, please contact our office at 205-543-6882. Remember, if you pay ANY amount other than the amounts listed on your bill under NOW DUE or REMIT AFTER DUE DATE, the ENTIRE amount will be applied to your water account. Our online payment provider charges a service fee of 3% for each transaction. 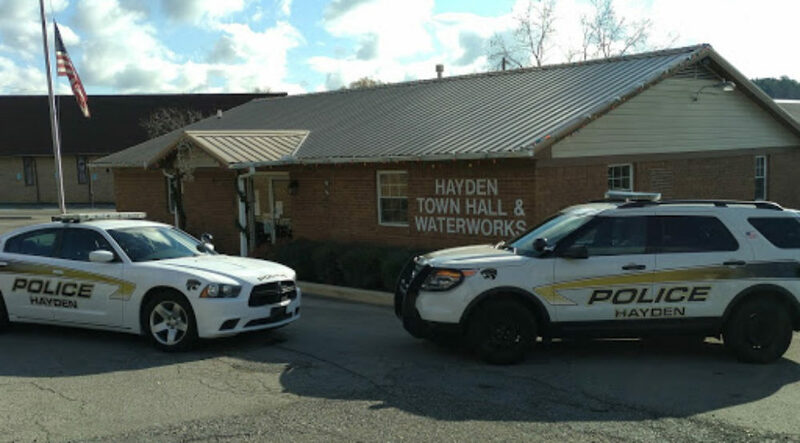 The Town of Hayden Water Department does not receive any amount of this service fee. Please enter your account number and bill amount below. IMPORTANT!!!!! If your account is currently disconnected you CANNOT pay your bill using this online feature. You MUST contact our office at 205-543-6882. If you are currently disconnected, and make an online payment, your service will not be reconnected until we receive notice from our online bill processor that your payment has been received. This notification may take up to two business days.